We can do it…after a cup of coffee! Get ready to conquer the world, just like Rosie the Riveter, by starting your day with a cup of joe. 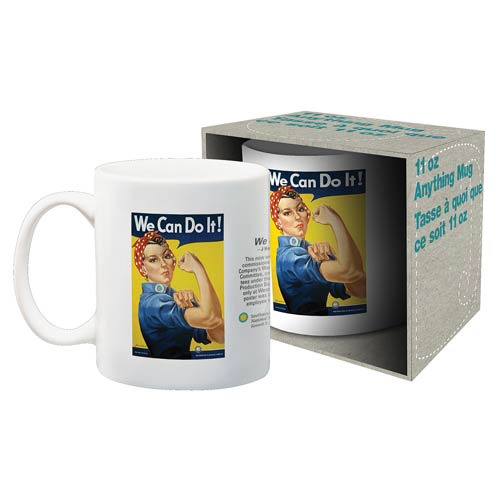 This Smithsonian Rosie We Can Do It Mug holds approximately 11 ounces. Hand wash only. Not dishwasher safe. Do not microwave.